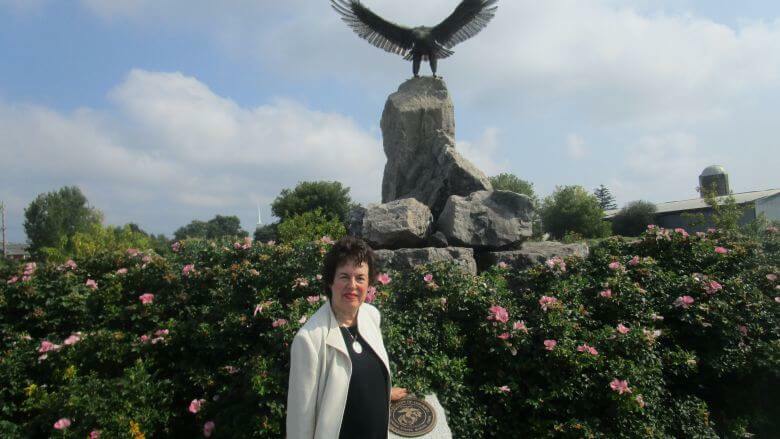 Sandra Frankel is the Frederick Law Olmstead of Brighton. Now candidate for Monroe County Executive, during Frankel’s tenure as Brighton Town Supervisor (1991 – 2011), she led Brighton in creating a townwide park system of nearly 500 acres with strong community support (in a public referendum, Brighton voters overwhelmingly approved funding for its acquisition, development and maintenance), including eight new parks and major trails providing healthy recreational outlets and protecting environmentally sensitive areas. Today, residents from throughout the county enjoy the Meridian Centre Park (Winton Road) and Buckland Park (Westfall Road) athletic fields, basketball and tennis courts, playgrounds and woodland trails. The Picture Postcard Waterfall in Corbett’s Glen Nature Park (located off Glen Road) leads through deep woods and peaceful meadows. The Lehigh Valley Trail links to an incredible regional trail system for walking, hiking, biking, and cross country skiing. Persimmon Park (the corner of Clinton and Highland) and Lynch Woods Park (Crittenden Road) offer natural woodlands and wetlands for nature study. During her tenure, Twelve Corners Memorial Park was improved with the installation of a pergola, landscaping, and infrastructure. At the ever popular Brighton Town Park (Westfall), under her successor William Moehle, this last spring the Brighton Parks Department completed a full replacement of the poles and lighting at its softball and kickball field. Most importantly, the Brighton Parks serve people from all of Monroe County and beyond. The Town Park fishing pond attracts anglers from parts near and far; the Rochester Bassmasters hosts an annual Youth Fishing Derby. The lodge always filled with reunion gatherings, craft fairs and other events. I once was treated to a Halloween art installation set up in the wooded trail area by a SUNY Brockport graduate student from the Visual Studies Workshop. During late summer’s nights under the lights, I have umpired for teams from as far away as Avon. At Buckland, many an early morning I have met walkers exercising before heading to work at Strong. Meridian Park, always used, is especially crowded on the Fourth of July (see below). 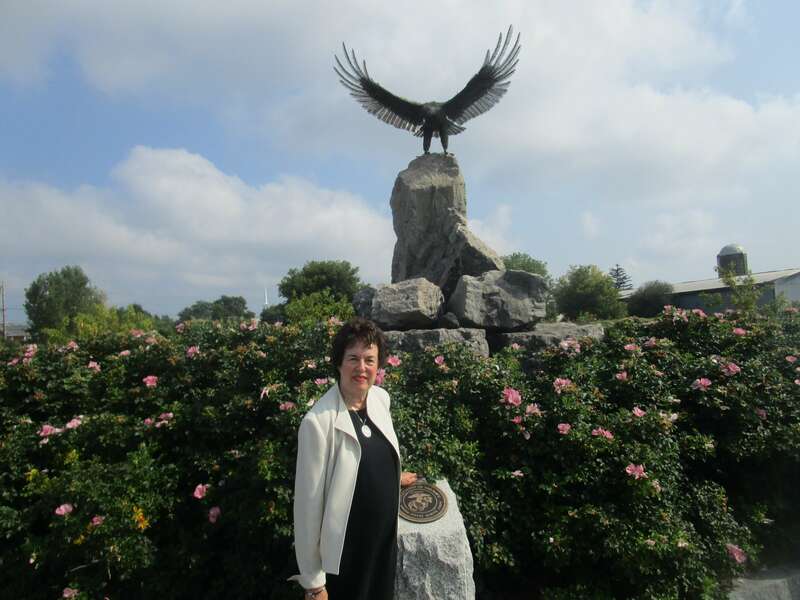 My favorite spot is a bench facing the American flag and the looming stainless steel American Eagle in the Veteran’s Memorial in Buckland Park where veterans and supporters gather every Memorial Day and Veteran’s Day for a flag ceremony honoring those who served. From that bench I can see: deer and wild turkey in the forever preserved parcel to the right, a community garden organically grown, the restored Buckland Farmhouse visited by numberless school children, the Major League baseball diamond where I have umpired and Ernie Clement first made his name (below), the Sunset Serenades bandstand where summer nostalgia evokes Kodak moments, pavilions and picnic tables drawing families from Henrietta and Rochester where the light aroma of barbecues wafts my way, and the staccato cacophony of languages emanating from the soccer fields whose pulse represents the model of multicultural diversity that is Brighton itself. 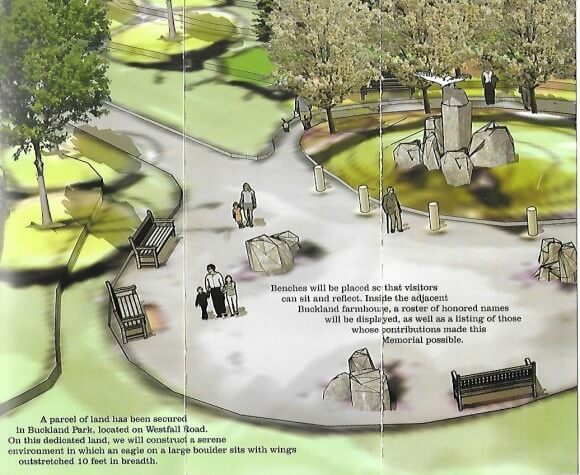 The Veterans Memorial was primarily made possible by the tireless work of Brighton Councilman Jim Vogel and the memorial planning committee. But without Frankel’s vision and leadership, and her ability to bring people together in common cause to achieve shared goals, the bench where I wrote this endorsement would not be here. 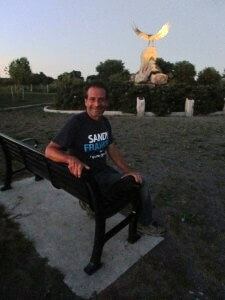 To all of Monroe County, the bench in the Veteran’s Memorial is my testimonial. I think I might even have seen a real eagle once soar over me at sunset.